Bring your rooms to life with color. olor is by far the most economical and effective tool you can use to transform a room. We respond to color physically, emotionally and behaviorally. When a person surrounds themselves with their preferred colors, they are actually subconsciously encouraging their hopes and dreams. 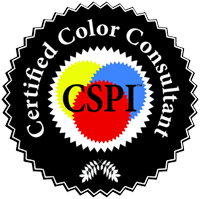 Monique Milne, CEO of Milne Well Dressed Homes is certified and trained as a Dewey Color expert. The Dewey Color System is the only validated color system in the world! It is a “goof-proof” paint and fabric system geared to select precise, perfect color combinations of paint, fabric and accessories with no fear of making expensive color mismatches. Monique traveled to BC to study and train with International Colour expert Maria Killam, Monique is your local colour expert trained by the best. Monique has conducted hundreds of colour consultations and her large selection of colour samples combined with her expertise and all her other training make colour selections easy! Match your existing fixed fixtures to paint perfectly! Let me come in and match your floors, cabinets and furniture with my Color Measurement Tool. Read my Color Consults and Tools blog for more information on how I can help you. Are you redoing the exterior of your home? Replacing shingles, siding and brick is costly , this is where you absolutely MUST get your colors right because there is no re-do here! If there ever is a time to hire an expert that would be it! For a very reasonable cost, you can get it right the first time. Whether you need color for staging your home to make it more appealing for buyers or it’s time to refresh your home, Milne can help.